After more than 30 years of service, we have moved to the market. For a business growing may be not neccessary but improving, Is. We offer our capabilities in regard with your organization's management and its transformation. Transformation is essential for any organization in order to become skilled to meet and face different challenges from the coming opportunities. Strategic planning has a creative approach which is essential for the smooth starting, running and sound growing of the business. We help you to go beyond superficial knowledge to deep knowledge, i.e. from knowing how things are done to find out why they happen and to ask if are there any better way to do them. The management control (MC) is the necessary discipline to implement strategic formulation of yours organization. The primary objective of operations management is to serve the clients utilizing organization's resources to provide the right thing, at the right price, at the right place and at the right time. The second objective is to use all these resources in an effective and efficient way. Europe 2020 strategy has three mutually reinforcing priorities: such is to become a smart, sustainable and inclusive economy in order to deliver more employment, more productivity and greater social cohesion. But also provides many opportunities for small and medium sized enterprises. Capabilities are based on spontaneous patterns of interaction and somehow they are of difficult understanding to be managed in a executive sense. Experience. Our approach emphasizes that lessons learned from experience, show that effective management needs a comprehensive approach in which every organization, although having parts is also part of a whole, not only involving different performers such as suppliers, customers, strategic partners, competitors, public administration, society…, but also good timing of actions to do. Spans to a wide community. Our comprehensive approach does not begin and ends inside an specific organization but spans to a wide community of performers who are involved with it while looking for its goals. Indeed, in our changing and almost unpredictable world, organizations have to meet many complex challenges, and the means they have, very often, are not enough on their own, so that, strategic alliances with other organizations are needed. 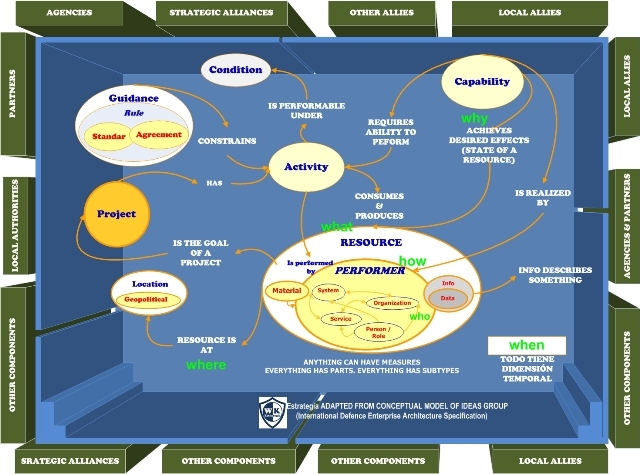 In this context, and taking into account their respective strengths, as well as their own decision-making process, effective implementation of a comprehensive (which does not mean exhaustive) approach requires all performers to contribute to same goal through dialog and exchanges, in a framework established by an agreement –tacit or explicit- based on a shared understanding of responsibility, goals, honesty, openness and resolution, both internally and with partners. Results are outside. The Effects Based Approach is necessary, and represents the need for deliberate planning and action in business management to maintain the greater unity of effort and resources. Change is the only thing that is constant in our current environment. We help you to take advantage of it. 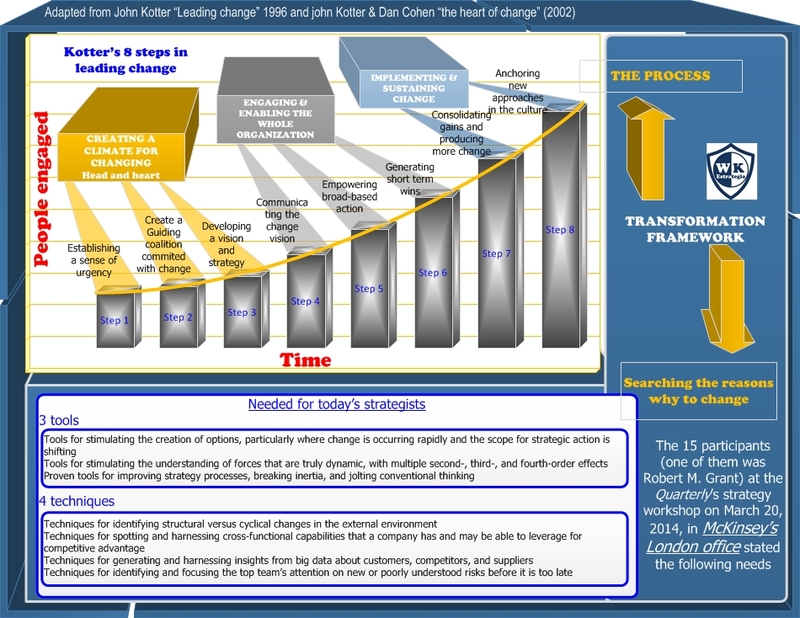 Our proposal to carry out the transformation process is based KOTTER's methodology. Changes are made for a reason after making the most effective decision in order to get the right commitment. This usually leads to the conclusion that maintaining the status quo will only set the stage for another crisis instead of achieving a better position. Transformation is a process that is not quick nor easy, because what actually have to change are the people, their behaviour and their commitments, it is not the organization. What actually has to change is the status quo and it is really a hard work. Our focus is on these 8 steps as the most critical to have in mind. We know they are not the only ones, but we do know they are the stones on the road where many organizations have bumped. · In its primary activities or support? · In the influences and dependencies between these activities, ie those called by Porter horizontal links? Identifying the sources of competitive advantage is an ongoing and continuous process, since not a day passes without new challenges that force to adapt, or what is the same to "transform" to address threats and seize opportunities. Transformation is a long haul task. Requires to articulate and manage the ability to look ahead anticipating the effects that will occur keeping on track common high level goals for all while flexibility as much as possible is maintained. The links between resources and capabilities of an organization need attention and thought to make effective decisions that reach the right compromise and run with resolution. Some authors have defined organizational routines and capabilities as complex patterns of coordination (and cooperation) that allow several specialists integrate their knowledge to provide goods or services while maintaining the efficiency of knowledge specialization1. Our methodology3 has four steps, first and second use objective rationale, third and fourth steps use subjective rationale to figure out conclusions. The number of strategic alliances is growing in the current environment, where flexibility and resilience are required. Clarify and establish the definitions of each key concept deployed and the relevant hierarchy in the set. Develop close relationships with their customers and other industries within their sector or outside of it. Surely a number of concessions should be made in either direction, but the expertise is still important in transaction costs. Use open standards wherever possible. Partnerships are more necessary in times of instability, because organizations must face many complex challenges, and very often the means at their disposal are not enough to fend for themselves. In WK Strategy we are clear focused on results and the growing importance of strategic planning process and its corresponding actions and consequences in order to maintain the greatest possible unity of effort and concentration in the utilization of resources. 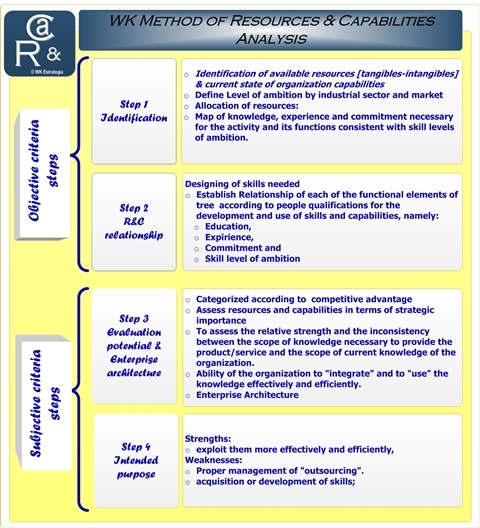 One of the reasons for promoting strategic alliances is to access -rather than acquire- the knowledge that every partner has in order to ensure complementarity exploitation, while each partner keeps, and even develops their distinctive specialization (RM Grant and C . Baden-Fuller "A knowledge accessing theory of strategic alliances"). 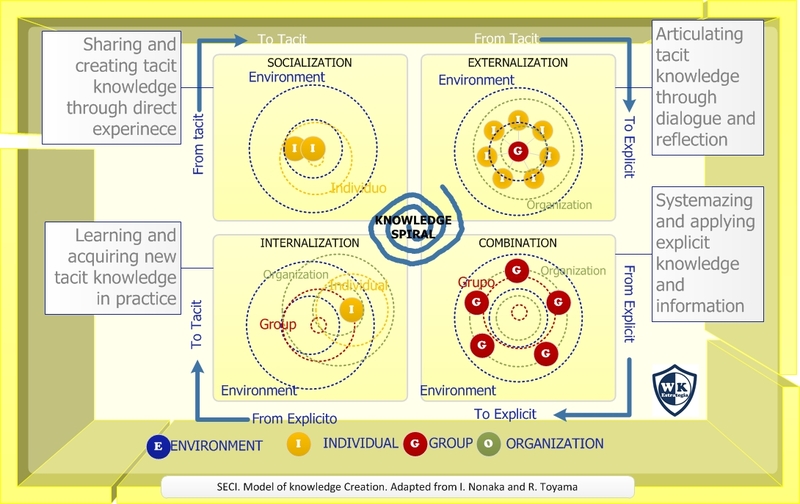 Acquire knowledge to apply it is slow very often (SECI model and Spiral of knowledge of Nonaka and Takeuchi), and economically is costly along with being risky if organization doesn’t get the same teams who know how to integrate that newly acquired knowledge and ends up for overwhelming the people that perform these activities in the organization. Moreover, in strategic alliances the decision-making process remains intact in their respective organizations, therefore it is essential to ensure that collaboration amongst partners be smooth, effective and efficient in terms of transaction costs. Interoperability amongst partners is also essential to do the best with resources pooled by the corresponding alliance. The real effectiveness of Partnerships, needs that their partners can "interoperate", that is to be able to work together but not mixed in order to achieve the common objectives at different levels. Interoperability also allows shared use doctrine, experience, services and infrastructure so avoids duplication and creates synergies. 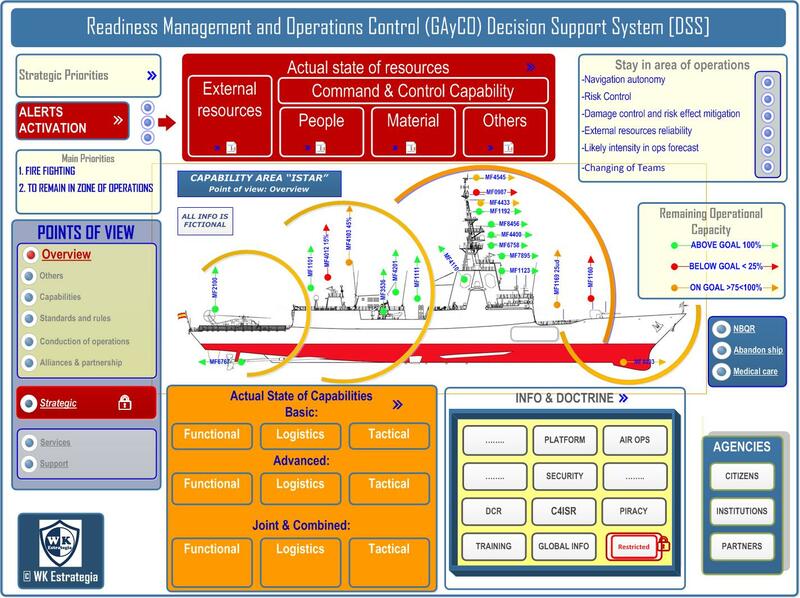 See below for the conceptual model of IDEAS (International Defense Enterprise Architecture Specification). See the following depiction of a strategic formulation representing a common structure to articulate two intertwined approaches: thematic and "time-driven" according to the deadlines of the strategic goals. We have various representation designs on which relevant strategic and operational indicators and their respective trend would be positioned. The Balanced Scorecard is another methodology of representation used as strategic map where objectives and indicators and their trends are placed in one particular perspective of the 4 defined by Kaplan and Norton. There are many different ways of representing strategy goals and key performance indicators to turn raw data into useful information in order to focus people efforts on achieving the strategic goals and to manage, properly, operations performance. In this tab you can see another model from us (fictitious) about certain capabilities of a regional health Authority. The objectives placed on it are referred to specific geographical locations and based on certain capabilities key performance indicators lined up with strategic formulation at a given time. In WK Estrategia we know how to make it simple and effective. Strategic planning questions and answers. About strategic planning there are these 6 modern answers to 6 ancient questions (from the poem of Rudyard Kipling "I Keep Six Honest Serving Men ..." (The elephant’s child), What, Why, When, and How, Where and Who). What: Every business has a short number of key abilities or distinctive capabilities which make it stronger than their competitors. The process of strategic planning determines the desired goals and ways –actions to perform- to reach them using those key abilities, at the present or developed for the coming years. Strategic planning is not a luxury but a an essential, formal or informal, it depends on size, structure and of course rigor needed. Why: strategic planning is a continuous and partially unsystematic process, and once you’ve done it (or you believe it), perhaps the harsh reality will bring down many of the statements or predictions, and will call for reaction. But no problem, all the organization had to think about itself, and will have to do again, both internally and externally and continuously. The knowledge that will be acquired if doing the best in planning, will make possible to get a new and a strong distinctive capability, a dynamic one which will provide the organization with versatility and resilience, almost the most important skills to face challenges in actual life and to get a hard to imitate competitive advantage. When (Frecuency): Need for Strategic planning can emerge anytime. When the environment is stable, the need for predictions, with a few rare exceptions, almost doesn't exist. Obviously our environment is not stable at all. Good timing of actions to do requires the virtue of prudence, so the greater uncertainty the shorter planning period revision frecuency, especially in markets with high levels of innovation. Unfortunately, many of the named strategic decisions are only band-aids that fail to add long-term value. They are neither strategic nor decisions, but only reactions forced by caprice of circumstances. Where (organizational levels in and outside): on the one hand environmental instability is a powerful driver to decentralize strategic decision-making due to needs for speed, versatility and resilience. On the other hand, in strategic alliances, very fashionable today, few organizations wish to be coordinated by another. In fact, in business world, regular consultation rather than endeavoring to nominate a single performer to be leader in managing is the realistic way ahead. The appropriateness of this answer needs to find a balance between decentralization and centralization. How: flexibility and formality of planning processes are inversely proportionated, while need for detailed plans not only remains but grows to meet challenges successfully by means of tougher planning efforts. Nowadays exists a need for speed or in other words, less bureaucracy and more versatility is required. Technology helps in this: to send a report to any place and to any one while it lives in the cloud doesn’t require neither extra effort nor extra time. Who: top-down & bottom-up. If the strategy looks for results in a given period, anyone who must be informed or has to inform about some specific area of performance, must participate and of course be invited to. The effective implementation of one normal strategy is better than to have an extraordinary one in staff archives. We see the strategic process in this way. A clear strategy (either designed or emergent, or both) which is properly executed, leads organizations to outperform. Besides this, creating a compelling strategic formulation and of course communicating it throughout the organization top-down and bottom-up, it's the way forward to success. Maturation stages to design and implement, within an organization, an appropriate system for strategic management. The first thing to note is that there is a "sine qua nom" condition which is to accept this system is not improvised but requires time, serious thought, tenacity, commitment and above all, leadership. Until an organization has and implement its own system goes through four stages of maturation of the project (Samuel C. Certo and J Paul Peter), growing in effectiveness, from the formal planning, and the scope of objectives set in planning. See each. Basic Financial Planning focused on meeting the annual budget by the "operations management". The functions are performed without regard to their integration in the various primary and support activities. It suffers from an overview. Strategic management, ie planning to create the future. The time spent on perfecting the system, if done with resolution and common sense, is surely one of the most productive one for any organization that wants to become and remain a leader. Each organization should first identify its "Strategic Concept", by which defines its core purpose, their durable nature and its core activities, which would be its mission, the reason for being. Within that concept, environment key factors must also be identified as well as the organization approach, properly articulated, to meet and face the challenges of the environment with the necessary guidelines to be versatile and resilient to seize opportunities and neutralize risks or threats. We use the term goals to describe the purposes of an organization. They are timeless and have validity until changed. We use the term objectives as the specific outcomes agreed upon strategic planning, which are measurable, realistic and that should be reached on time (SMART: Specific, Measurable, Agreed upon, Realistic, and Time bound). Objectives are also the Commitment of all components of the organization to achieve the entreprise goals. Internally we propose the graph model below to help you to identify the components that deserve joint attention with an essentially pragmatic focus on results. Every organization has a sui generis form of jointly perform all activities of its value chain excelling in certain key competencies which we call distinctive capabilities. Identify them is essential. Moreover, all companies have 8 key areas and in each of them are set, or should be, certain objectives that can be reached using their current distinctive capabilities or those to be developed in the future. We called them as thematic objectives. Finally, we believe that the strategy must be effectively communicated in order to obtain the commitment of everyone in the organization, therefore, the representation of the strategic map of results is needed. we are able to use different methodologies, one of which is shown in the graph: the " Balanced Scorecard "by Kaplan and Norton. Our Value adding proposition in Knowledge Management is to build a learning organization. Its practical development is mainly based on the proposal by David Garvin “building a learning organization”; however there are fundamental theoretical and practical support proposals by other authors such as: Peter F.Drucker, on the organization based on information flow and the use of communication as the way of organizing; Chrys Argyris, to put the whole organization to learn; Ikujiro Nonaka, about exploration, integration, implementation and exploitation of knowledge; John Seely Brown on use of knowledge by members of an organization to innovate; Robert M. Grant and Baden Fuller on strategic alliances and access to knowledge rather than acquiring it. Learning in organizations is related to the acquisition and exploitation of knowledge and the improvement of their performance. It is not enough only identifying the new knowledge, but also seizing its application, and this requires a systematic approach and a long haul task. At present, and even more in the future, to build a learning organization will be the most fertile source of competitive advantage to exploit new knowledge and new ideas from making explicit the tacit, moving from superficial knowledge to deep understanding, what is to say from knowing how things are done to know why they happen and finally to question if are there better ways to do these things. Organizations of the 21st century must become "learning organizations". In WK strategy, we adopt the definition of David A. Garvin by pragmatism, that "a learning should be an expert in creating, acquiring and transmitting knowledge and modify their behavior to adapt to these new ideas or knowledge organization". And secondly because each person internalizes, ie adopts the ideas and principles of others until forgetting they were acquired, in a unique way. the ability to use knowledge to their maximum capacity. From experience an overwhelming conclusion is obtained: employees do not use formal procedures to follow exactly their instructions, but to understand the underlying purpose of performing one specific task or process. In almost every procedures only exceptionally are covered every cause and effect relationships, exceptions, adaptations and unforeseen contingencies and respective answers to them, thus employees decide and resolve these contingencies on their own, doing their work aimed to those objectives they personally deducted from procedures. This informal resolution of problems arising from within the organization is "flexibility" to meet customer expectations, but it is also knowledge that is being lost, except in circles close to the worker, and also missed opportunities to overtake competitors and to get excellence in operations. However, any good sensed organization must be aimed to reach the final stage of knowledge, in which we know all the possible contingencies and how to control them. This is not always possible, especially in service-based business, but when this last phase is reached, both the tasks and the process can be automated and standardized, and it can be reached by taking advantage of the employees themselves and their experience with customers to learn, improve and identify their customer needs, even before there were the means to satisfy them, and innovate in this regard. Knowledge can not only be acquired but also accessed through appropriate strategic alliances, whether formal or informal, but in which the respective decision making processes of the partners or allies remain independent. The point is that the benefits of alliance structure must be superior to individual companies, or the market, but transaction costs (market related) and agency problems (within the companies) put the answer. Knowledge generation. Partnerships are learning vehicles to transfer and absorb mutual knowledge. Requires expertise. Exploitation of knowledge. Aimed to share and exploit knowledge and its complementarities maintaining the respective specialization. Requires diversity. 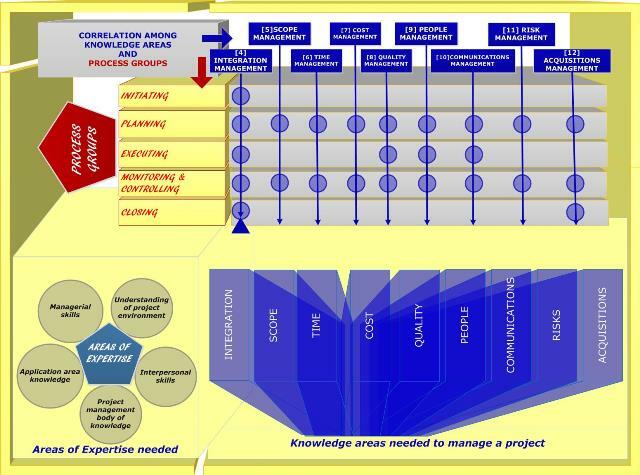 Our way to understand knowledge management doesn't have continuous improvement as the core focus... surprised? Yes, our focus is centered on a firm commitment to learning, Continuous improvement will be necessarily its consequence and the leading driver for better results. It's a subtle but crucial difference, because a firm commitment to learning is the soundest basis for creating a learning organization and to improve is necessary first to learn something new. Only spanish version available here. Where is Management Control in our Capability Map? Management control is used to successfully implement the strategic formulation, while operations Management is responsible for matching supply with demand. What makes real a business is the client that it serves. It is not anything else; not its legal registration or deeds; not being adequately resourced or being promoted on all social networks, not even open the door every day. Only the client makes the organization becomes real when purchasing goods or services. The customer is the genesis of a successful business. The marketing cycle begins and ends back with the customer. But success does not allow accommodating attitudes. New circumstances have appeared precisely due to this success, and will cause that prior performance objectives be outdated. There are some simple questions to pay attention if you want to succeed. What do they buy and why do they do it? We have a comprehensive approach: the purpose of marketing is to identify and understand the preferences of customers regarding their needs, desires and values ​​and serve them more effectively and more efficiently than our competitors, searching for the balance between the benefit of the organization and the net utility expected by the client, or what is the same, to create value for him. This is the best source to gain competitive advantage. There are more approaches. Marketing production approach mainly seek efficiency in production and distribution, but this, sometimes, makes to lose of sight the essential view, which is that of the client. Another aggressive approach is to strain demand through intensive promotion and selling efforts. This turns sale an end in itself rather than being a means. No disdain at all cost efficiency, it is an advantage that allows, an unknown company, enter swiftly and forcefully be positioned in a market, but as long as the customer is considered as the center of all attention. The customer is interested on those costs whose money shall pay as price, ie the entire economic chain, whether or not of different legal entities. It's not just the cost of the steel mills, distributors, assemblers, etc. Customer what matters is not who does what and how much does it cost. He is interested in the cost of having a car at the door of his house and to use it without problems. To develop strategies that help to achieve business goals, you must understand your market and identify and analyze your strengths, weaknesses, customers and competitors. Management of customer relationships (CRM) is essential to the success of long-term sales aimed both attract new customers and meet optimally the relationship with existing ones. To put marketing as the main function of any business, in the sense expressed herein, has proven to be the direction that provides superior results which means higher levels of customer satisfaction, a goal that we consider strategic and fundamental. Marketing is a key area for any business and its results should be consistent with corporate, competitive and functional results of the company and, where appropriate, those from the components of strategic alliances. 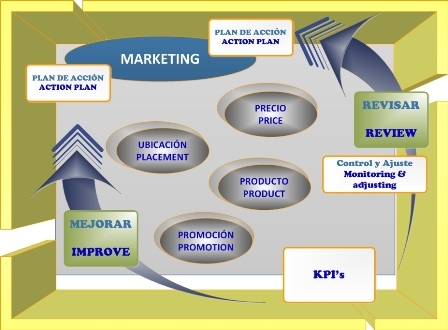 Marketing objectives are not apart from strategic formulation, but is an essential part of it. Nevertheless, while executing plans, objectives may change, and in fact they do, and often much more than desired. The objectives set the direction in which to go, but not the destination to reach whatever happens. They represent the commitment to achieve the envisioned future of the company. 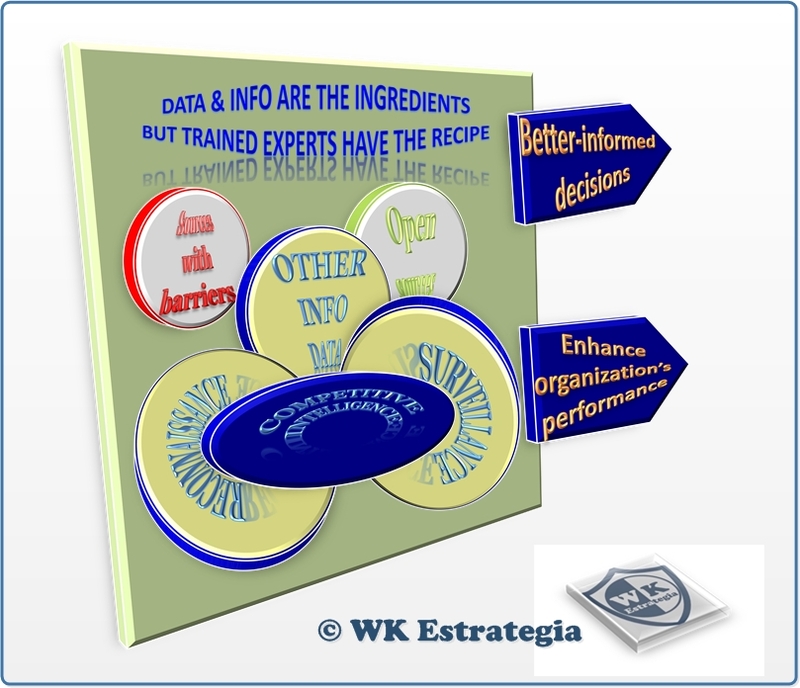 WK Estrategia can help you in this key area to improve effectiveness in resources utilization so that a better value for customers will be added. Productivity is defined in terms of utilization of resources -labor and assets or material and can be measured separately for each input resource -factor productivity- More specifically it could also be defined as the ratio between values of output per work hour to the cost of inputs. Obviously the organization`s overall ratio should be greater than 1 to survive the competition. Nowadays, most organizations can’t develop the best performance simultaneously in all attributes, by trying to do so, they probably end up doing nothing well. Inevitably, strategic choices in a time-based competition environment must be made. Productivity is closely driven by quality, technology and profitability, but also regulations and scarcity of some resources could impose constraints; bargaining power, managerial factors and organization's culture could have effects on productivity. There is also an international dimension of productivity in regard with strategic choices about moving to a new and more advanced products and employing more flexible systems to accommodate change rapidly. The two faces of innovation. We think that innovation is a new and original way to match supply with demand, is to say, what customer needs and the solution that creates value for him whilst profit is obtained by the company. Choosing the right price is a key decision that must be made, because the major difficulty is to get the optimal balance between net utility expected by the customer (utility less price) and the benefit that can be reached by the company. The need for innovate can come from disruptions such as regulatory or technological shifts, demanding new competition rules, or can be forced in downturns to address specific challenges and seize emerging opportunities by reinventing themselves, ie, doing bold moves instead of deploying defensive strategies (whether financial or operational). An innovation can be small such an incremental improvement, and can be big enough to shift an industry, but rarely creativity from genius is the source of innovation, normally there are innovators to whom creativity visits when they are working. But to avoid that the new idea doesn’t remain only as a brilliant one, it is necessary that the organization develops the “capability” of innovate by means of the systematic analysis, work, and effective decisions in order to guarantee that sufficient support is obtained and properly managed. The development of this capability requires, in the same proportion, scientific method to develop the concept, and emotional intelligence to identify and understand the signals that can be warnings for action to leverage an opportunity to innovate. The organization must know the theory and practice without gaps between them. Business Model Innovation which is especially valuable in times of instability. Innovation has also two perspectives. One from the customer and the other from inside the organization. 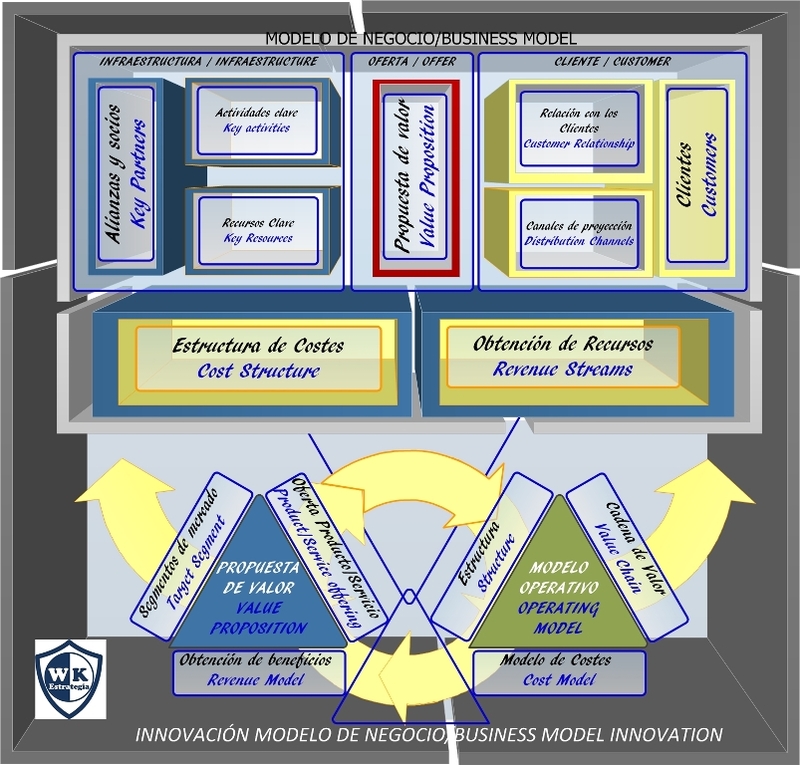 the second on the operating model of the organization to provide the ultimate solution while, at the same time, the company is earning benefits. Business model Innovation often involves a smart sacrifice that dramatically improve one attribute at the expense of another, possibly even an attribute that is viewed as a “sacred cow” in the industry. Change the way to put price and collect money in regard with these questions: how much, when and where. Change the way the Company supply the product/service. Deliver the same level of customer utility but doing it more efficiently. It is essential for all organization's components, its allies and partners, to act in a coordinated way and to use different instruments with a mind-set of unity of effort in the utilization of resources, common goals and fair play. People are organized to provide goods or services of diverse nature, either as employees or volunteers in NGOs; but not to be working as the only reason for being. A university exists or should exist, depending on students whose desire is to be prepared to perform their eventual job and be responsible for it. There is not either one right organization. The address (or management) of an institution, whatever the nature of this and its life cycle, is responsible for making productive resources in an organized and committed to common goals and values. "Without this commitment, no institution, there is only one gang There are three important tasks that must be performed to address the institution responsible work. Peter F. Drucker. Manage impacts and social responsibilities"
Human organization of a business requires a purely strategic decision on the structure to be settled in order to achieve strategic goals and operational results; their temporal and geographic dimension; the conditions under which the business is running or will run; skills and competencies that the executors should have; restrictions affecting them, etc. 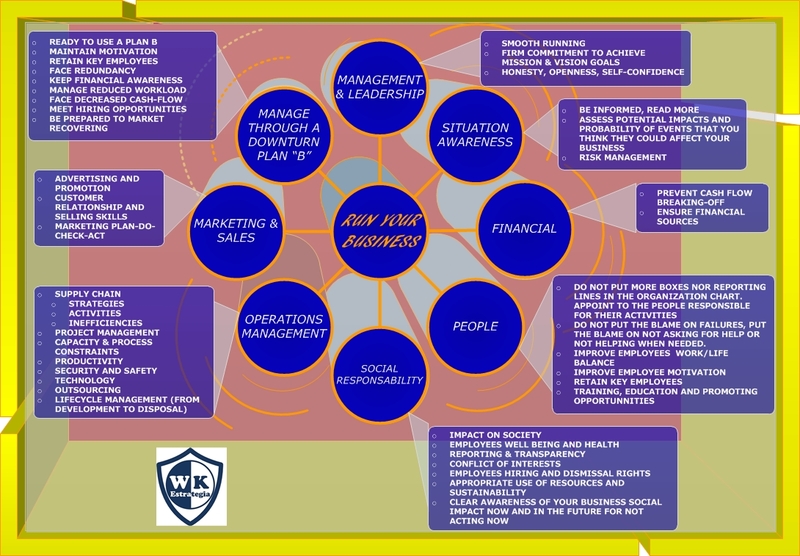 WK Strategy helps clarify the most appropriate structures and their synchronization using to make resources productive and achieve the desired effects. The current trend is to have at the same time different structures whose suitability depends on the task, the timing and other considerations we have just mentioned. Effective Communication dictates how to organize,not the means to do it. Structure must be transparent and should be known and understood by all organization´s components and its allies and partners. The Authority should be unique to make final decisions and should be proportionate to the the responsability.You can not claim full responsibility to achieve certain ambitious goals while invalidate any maneuverability to achieve them. Or give full authority without any responsibility. The existence of one line of authority for every person and eliminating of intermediate layers that are not strictly necessary, eliminates interference and noise in communication. Organizations are not homogeneous and can not be organized in the same manner at all times and for all tasks. It is essential to have a work Team that is sure to exceed expectations, rather than celebrities and traumatic changes of command. The work should be articulated in terms of equipment’s skills, processes and projects. Knowledge Workers, want a clear recognition of their work, and need constant challenges to achieve results and see them. The structure must be tested constantly to prevent its ineluctable "calcification" even abandoning elements considered as "sacred cows." Parallel structures can be powerful tools to initiate change and develop new skills. Communities of practice; reengineering systems; circles of total quality management, etc. Transformation of inputs into outputs using physical resources. The transformation of inputs into outputs is the concern of Operations Management. This transformation is performed by using physical resources, in order to fulfill customer utility expectations with more effectiveness and more efficiently than competitors. To have the use of physical resources is what precisely differentiates operations management from other activities of the value chain of the organization. Operations management is about matching supply with demand. The excellence in operations has become a key ambition to stay ahead of competitors due to that small differences mark the success or failure of an organization. Although perfection is impossible in this area, mismatches can be reduced or even eliminate through continuous learning until new ones come out with other different characteristics caused by normal adaptation to environment. Operations management never dies. This is an issue that can be very complex, and there is not an operating environment that can be used as a model. Tools for operations management (quantitative models and qualitative strategies) can be applied in three different but complementary ways (G. Cachon and C. Terwiesch). To overcome technological barriers by redesigning and restructuring operations in order to improve the overall performance beyond the current and most efficient performance known. This could be applied to profit and nonprofit organizations; private or public; with employees or volunteers and for routine or emergency operations. Operations management aims to provide input-output conversion capabilities for reaching the organization’s goals and its strategic objectives. Certain areas require attention. Alignment of Ops. Management activities with the overall strategy. Effectiveness, or how to succeed in dealing with demand variability and uncertainty, either from the market or not, such as the wide spectrum of risks that must face an emergency room in a hospital; or the multifaceted threats for a crisis management board; or a forest fire fighting service. Efficiency, by improving productivity and optimal management of outsourcing non-core business processes to reduce costs. Identify the basic capabilities of organization’s value chain, make a synchronized use of them and cross barriers between functions whilst knowledge specialization advantages in primary and support activities are preserved. Identify the advanced capabilities that arise from strategic alliances from each set of value chain participants employing them synchronized. Experience, by seizing experience in "lessons learned" in operations to improve performance and facilitate the transformation of the organization. Best practices. Leveraging best practices, internal or external. Innovation. Be able to accomplish new operational approaches to cross current technological barriers and seize economic adding value opportunities. 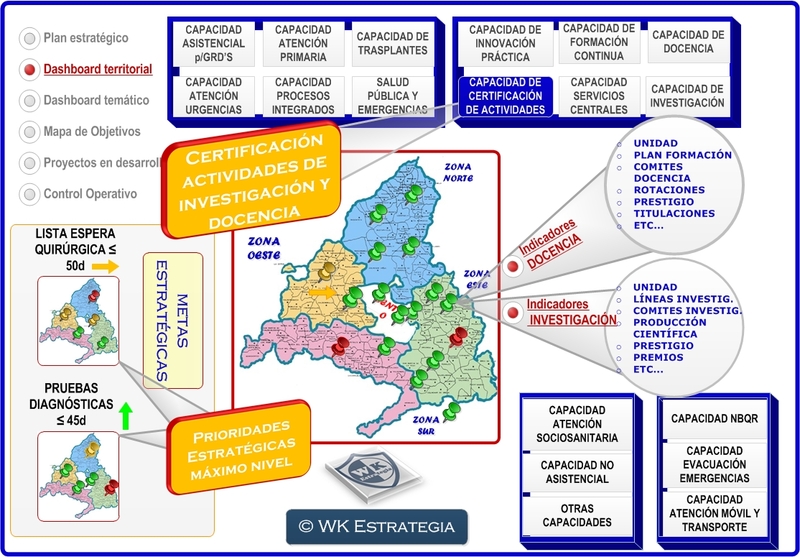 WK Estrategia can help you significantly to improve operations. Our value adding proposal is based on the model below. That graphic depiction has two parts. A) the logical model of a process, B) Hayes and Wheelwright product-process matrix, to differentiate types of processes due its usefulness although we know that boundaries between industries are blurring. Today it is rapidly shifting the productive effort from intensive labor use to Services and Information based business, and probably a huge number of functions will be performed by robots. Functions whose full knowledge of how they operate, allows to establish procedures, anticipate every possible contingency and subsequent reaction to them. Traditional ways of doing things are being replaced by more efficient new ones, where TICs become an important actor and play a major role in operations.The routine will be relegated to robots and people will become skilled on activities that require thought, creativity and design, in the broadest meaning, to improve productivity. All this will lead to a greater impact in operations. Thus the consumer is playing also a major role to design products or services and the processes to provide them. In addition, any organization is a part of society, and what it does and how it does has consequences, not only for customers but also for citizens, who cares about the impact of productive activity in society and the environment; governments who want enterprises with social responsibility; etc. In part A) of the graphic depiction below we also represent external factors that must be taken into account in operations management. To learn more about Operations, click here. LEAN OPERATIONS. In WK strategy we can help your organization to identify the theoretic potential of your internal processes and reduce time wasted in operations that do not add value. 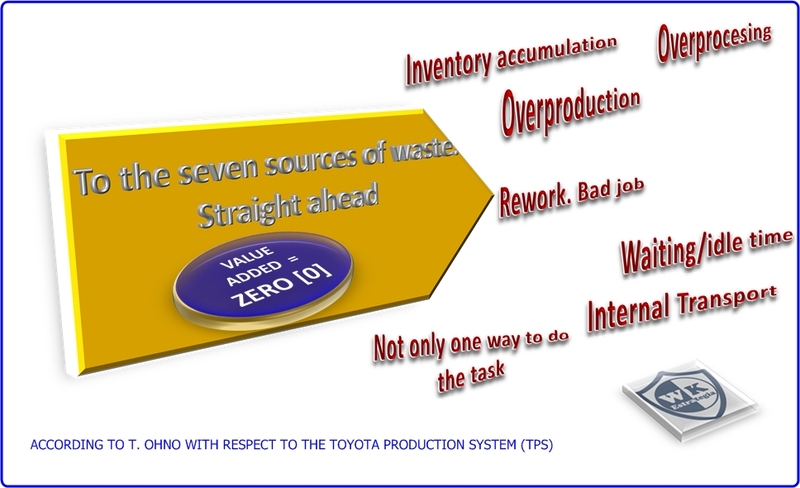 In the graph may be seen the seven sources of waste in operations. For example, as regards the internal transport, you may have seen that the places in your organization where different activities are being distributed or executed, are scattered and far away. Busy resources can be working hard but achieving nothing, and what it is worse, there is no value added. Correcting an error due to a poorly executed task doesn’t add value either. Bad quality is very expensive. We will analyze and describe the effects of time wasting in utilization of resources and on overall quality of goods or services. 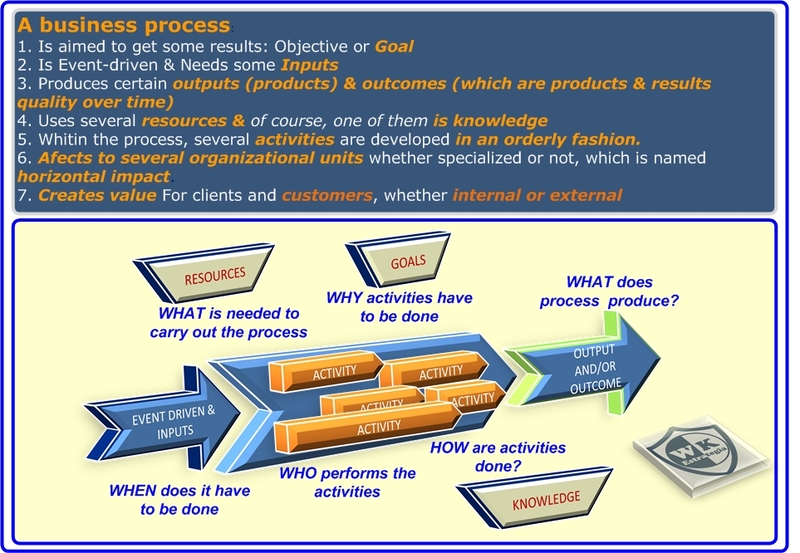 The objective is to identify what activities really add value in order to have a good estimate for the potential of process improvement aimed at achieving its theoretical potential before engaging in waste reduction. The concept of waste is applicable to manufacturing operations and service delivery. It is important to emphasize this, because in the services sector, the main production factor is labor. If we analyze carefully the day of knowledge workers, for example, could appear as likely results that only half time of resource utilization adds value, and the rest is wasted for various reasons to be identified. For example, running around (internal transport) to get supplies, or doing paperwork identical but repeated many times; looking for misplaced things or moving them from one place to another to liberate space to work, etc. This it's frustrating for the worker but also leads to poor and costly performance. Non-routine operations, could be of very different nature, such as, firefighting in forest areas; natural disasters; management of refugee camps; emergency room in a hospital; conduction of operations of any kind; etc. Nevertheless they have a primary objective, to serve the client needs and wants, and the secondary one, do it utilizing resources effectively and eficiently. Both should be balanced but bearing in mind that an improvement in one will often give a deterioration in the other Exactly the same thing that in case of routine operations. For example, when fighting a fire in the forest, the client to be served is the task force: the people and also the material and equipment. Previously all resources must have been prepared to be fully operational and all task force teams and their relays properly trained. What objectives were said to be achieved before starting the operation. Which is the gap between those objectives and what actually went on giving all necessary details to explain the gap. And finally, after the analysis of the answers to the three previous questions, what should be done next time, which activities to sustain, or modify or improve. Location of facilities; Plant Layouts and Material Handling. Product/Service Design and Process Design to make/provide them. Work Planning, Routing and Programming and goods/services Dispatching. Process Capacity is the maximun amount that a process can produce in a given unit of time. But to determine this capacity, a greater detail in operations analysis is necessary, looking for identifying and understanding the various activities involved within a process to find out and understand the underlying process behaviour without getting lost in irritating details. Analysis anchorage (choose tangible product or customer expectations to anchor analysis). Draw Process flow diagram (activities and inventories or buffers). Identify utilization of a process (flow rate/capacity) which is to say what actually produces relative to how much it could produce if it were running at full speed. Identify value and non value adding activities. Reject non value adding activities. Once processes are properly identified and their most relevant variables determined, the organization is better known to itself and then the "forest can be seen from above, from the bottom and from both sides" using what we call graphic depiction fit for purpose, that are designed by customers but maintaining consistency with overall strategy. The aim is to maintain on a daily basis a close tracking of operations within the goals and objectives of strategy besides getting effective communication across the organization. 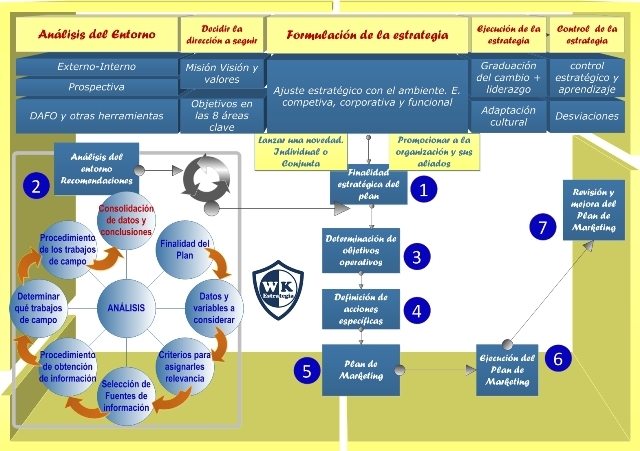 For example, in the graphic below you can see a partial graphic depiction about certain objectives in teaching and research, in this case certifications to be obtained by the organization in these fields. On the other, achieve effective communication with all stakeholders about what the organization together, alone or jointly with strategic partners, pursues. 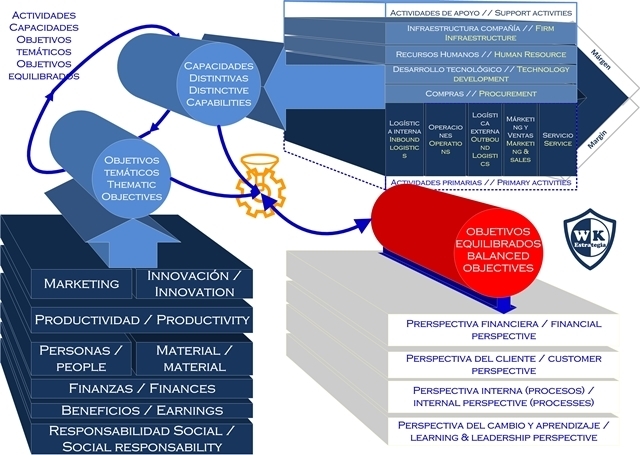 In WK Estrategia we think that capabilities are developed through the best running of specific processes, and although actions to be taken will be sponsored by respective teaching and research committees, they must also be agreed with different parts of organization, that should participate in order to maintain the necessary unity of effort in resources utilization. To follow up this, key performance indicators lined up with strategic formulation at a given time are properly updated on this graphic depiction. (only available in the spanish version -all data are fictitious-). One important consequence of this methodology, and not only in services based business, is to create, on a regular basis, a core focus, that helps to get honest coordination and proactive collaboration by setting a common language and show a common goal to all disciplines involved. A Project is a temporary endeavor undertaken to create a unique product, service or result and most of the times pursues a lasting outcome. Every project has some specific objectives to be achieved with regard to its scope, cost and time, being quality affected by balancing these three objectives. To do this, project manager uses and integrates knowledge, deploys needed skills, uses certain tools and applies specific techniques. There are many types of projects, but basically its a puzzle of intertwined activities some of which, but not all, are dependent and have influence on one another, and at the very first moment of its beginning aims to an specific end. A project is always affected by some degree of uncertainty, thus the greater the uncertainty, the greater the threat of not achieving the desired end, and terminating as a failed project. A Project is based on a strategic business necessity, whether organizational, technological, market, legal, etc. so a project becomes a set of activities aimed to an important objective in regard with corporate, competitive or functional strategy. Project management can be placed in two management disciplines "management control" or "operations management". Shipyards probably deploy much of their time and resources in the execution of different projects as if they were operations -complex and not standardized-. The same can be said for construction companies that build roads, canals and ports. We believe that depending on the specific circumstances of the organization, both approaches are valid and enforceable. see each. Projects whose organization, control, and resource consumption does have sufficient magnitude to be necessary to integrate it in the system of management control. Operations Management point of view: We can also say that is a nonroutine work or nonrepetitive operation and could be placed within the field of operations management, [Cachon & Terwiesch] with different activities to be completed as part of the project, which all of them have a limited time frame, a limited budget and a specified quality. 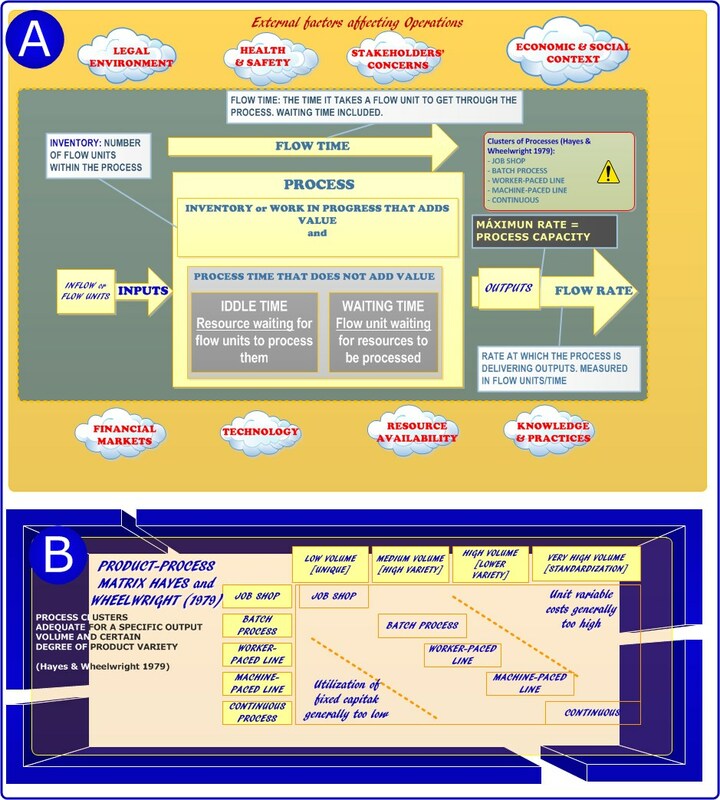 From this point of view, there are different activities to be mapped; an underlying behaviour of the process to be discovered and understood; different degrees of uncertainty to deal with, such as facing unknown activity times; iteration or rework loops, or even the worst, that is the potential threat of terminating the project instead of being completed, specially when we don't even know the unknowns around the project and too many iterations must be done before getting the deliverables. You set your level of ambition in the project result. Our proposal is to advise or manage your project to succeed. 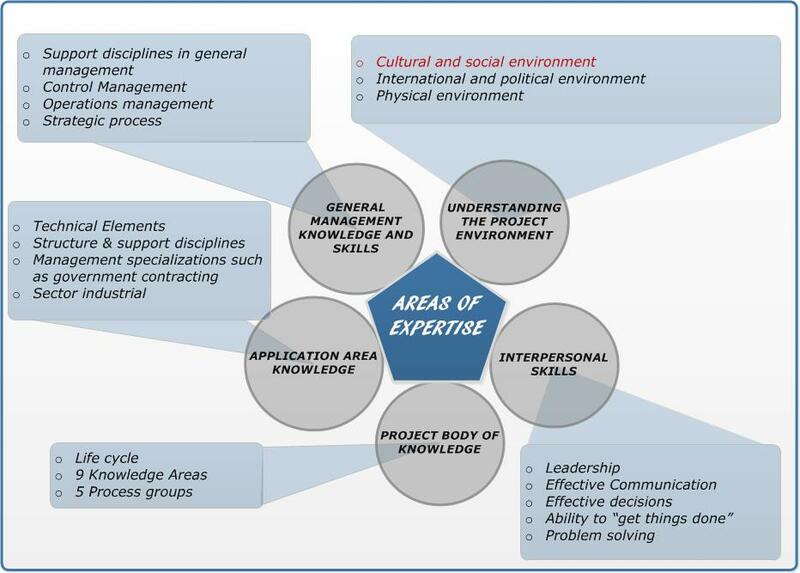 The project implementation is done through all the activities taking place in each and every process groups, but the execution is not automatic, though is highly recommended to have experience in the following 5 areas indicated in the graphic below: Specific knowledge are also required in 9 different areas of knowledge. Therefore project management has three key elements, "areas of expertise" as general knowledge necessary; "processes" running all necessary steps to successfully complete the project activities, and areas of specific knowledge which are considered as the best practices in this discipline. To understand the correlation between processes to perform and knowledge to have, is really important because it allows to know the specific range of knowledge needed to properly perform, control and steer the various activities of each process in order to get the best project management team. Level of Rigour needed to achieve the project objective. Public Procurement. Our years of experience give us knowledge enough and readiness to help you in this matter. This concept may seem daunting at first due to the lack of skills and knowledge in tendering process. In December 2011 the Commission proposed the revision of Directives 2004/17/EC (procurement in the water/energy/transport/postal services sectors) "Sector" and 2004/18/EC (public works, supply and service contracts) "Classical", as well as the adoption of a directive on concession contracts. The new directives were adopted by the Council on 11 February 2014. 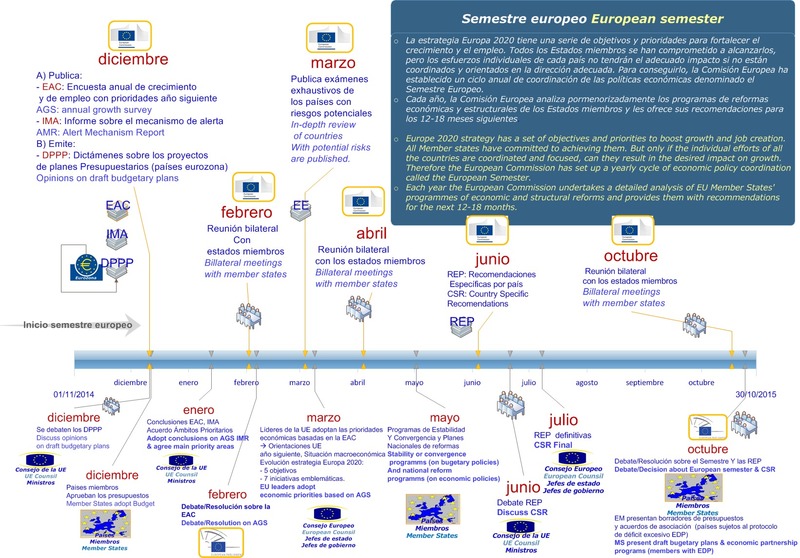 The currently applicable “Sector” and “Classical” public procurement directives remain in force until 17 April 2016.The Member States have until that date to transpose the new rules into their national law (except with regard to e-procurement, where the deadline is September 2018). When becoming involved in a tendering process, it is important to bear in mind your suitability for the project. Not only if the current situation of your business says that it is perfectly fitted for tendering, but also your ability to manage the contract if your business is finally awarded with a specific contract. By understanding these points in order to ensure that you can demonstrate your ability to meet the criteria and offer a competitive bid, you will increase your chances of success. Tendering is the process of making an offer, bid or proposal, or expressing interest in response to an invitation/request for tender made by another organization, whether public or private, in order to get supplies, services or infrastructure through the contract awarded that best meets with its criteria and provides the best value for money. The tendering process may differ between Government and private sector, but both groups generally look for similar things, such as the best value for money in regard with quality, reliability, efficiency, sustainability and added value. These are common elements sought after when evaluating tender submissions. Selection of tender procedure: Open, Restricted, Competitive Negotiation, Electronic Auction, Competitive Dialog and Innovation Partnership. Outline of requirements, establish criteria of award and how tenders should respond along with the corresponding documents of technical competence and specifications that meet the requirements and administrative clauses that will rule the terms of the contract after being awarded. Tenderers are invited (personally or through contract notices). The estimated value of procurement, complexity and business category determine how tenders are invited in order to assure that the contract objectives will be achieved both technically and economically by the eventual winning tender. Submit their proposal in the right format, on time and at the right location. Evaluation and selection: each tender will be checked for compliance, and if compliant, then evaluated against the criteria specified in the tender documentation. The tender that offers best value for money in accordance with the procedure laid down in contract documentation should be the winner and then be awarded. Notification and debriefing: when a contract has been awarded, the successful tenderer will be advised in writing of the outcome. Unsuccessful tenderers are also advised and offered a debriefing interview. Contracts established and managed: a formal agreement will be required between the successful tenderer and the relevant agency. Request for information (RFI) - ir order to collect information to outline the project but not to chose the tenderer. Request for proposal (RFP) - if the proposal of variants is allowed in documentation when there is the posibility of an innovative or more efficient solution. Request for quotation (RFQ) - Tenderers are invited to provide a quote for the provision of works, goods or services. Request for tender (RFT) - an invitation to tender by public advertisement open to all suppliers. The estimated value of tenders published in TED (including utilities) amounts to 420 billion euros in 2009, 467 in 2010, 425 in 2011, 401 in 2012. The European Parliament, in its Resolution on PPPs of 2006, acknowledged that practitioners want clarity about the application of procurement law to the creation of public-private undertakings in connection with the award of a contract or concession. The desire to benefit more in public life from the know-how and working methods of the private sector. PPP is also part of the more general change in the role of the State in the economy, moving from being direct operator to one of organiser, regulator and controller. IPPP must remain within the scope of their initial object and can as a matter of principle not obtain any further public contracts or concessions without a procedure respecting Community law on public contracts and concessions. The private partner of the IPPP is selected by means of a procedure, the subject of which is both the public contract or the concession which is to be awarded to the future public-private entity, and the private partner's operational contribution to perform these task and/or his contribution to the management of the public-private entity. The selection of the private partner is accompanied by the founding of the IPPP and the award of the contract or concession to the public-private entity. The relatively long duration of the relationship, involving cooperation between the public partner and the private partner on different aspects of a planned project. The method of funding the project, in part from the private sector, sometimes by means of complex arrangements between the various players. Nonetheless, public funds - in some cases rather substantial - may be added to the private funds. The important role of the economic operator, who participates at different stages in the project (design, completion, implementation, funding). The public partner concentrates primarily on defining the objectives to be attained in terms of public interest, quality of services provided and pricing policy, and it takes responsibility for monitoring compliance with these objectives. The distribution of risks between the public partner and the private partner, to whom the risks generally borne by the public sector are transferred. However, a PPP does not necessarily mean that the private partner assumes all the risks, or even the major share of the risks linked to the project. The precise distribution of risk is determined case by case, according to the respective ability of the parties concerned to assess, control and cope with this risk. 1 one for selecting the private partner to the IPPP and another one for awarding public contracts or concessions to the public-private entity. To internationalize your company you need a plan and then work on that plan... Unless you hate planning and therefore love the risks wherever they come. The European Union expresses its political priorities through the Multiannual Financial Framework (MFF multiannual Financial Framework) a tool for planning that lays down the maximum annual amounts ('ceilings') which the EU may spend in different political fields ('headings') over a period of at least 5 years. The upcoming MFF covers seven years: from 2014 to 2020. The annual budget is adopted within the MFF and usually remains below its expenditure ceilings in order to retain some flexibility to cope with unforeseen needs. The annual budget in turn must be the result of joint measures necessary to implement the Europe 2020 strategy and achieve its objectives effectively and efficiently. It is important to have a good advisor if you do not want to be lost in a sea of ​​definitions, procedures, application programmes, policies, guidelines… example of this complexity is the corresponding public procurement theme that requires separate attention. You need a clear view to know how to go ahead without making mistakes in the "approach channel", ie definition, procedure, programme, standard or authority. As an example of what WK Strategy can do for you to keep a comprehensive approach, see our overview of the State and Trends of the EU general policies in the Thematic layer. Take advantages of Europe 2020 strategy. All Member states have committed to achieving Europe 2020 targets and have translated them into national targets and growth-enhancing policies. Each year the European Commission undertakes a detailed analysis of EU Member States' programmes of economic and structural reforms and provides them with especific recommendations for the next 12-18 months. Therefore the European Commission has set up a yearly cycle of economic policy coordination called the European semester which starts when the Commission adopts its Annual Growth Survey, usually towards the end of the year, which sets out EU priorities for the coming year to boost growth and job creation. The policies of the European Union are held by a broad spectrum of programmes and funds to ensure financial support for the potential beneficiaries, ranging from small entrepreneurs, students, scientists, etc. to cities, or regional and national governments. The quantity of rules (only EU’s Directives and Regulations) affecting directly to these programmes are so far 59. The number of "sites" that link for more information about each program, are 28 so far, which in turn are different from the EU permanent sites. As in the program Euronews "No Comment". In WK strategy we can help you to be focused on your strategic goals while you are seizing emerging opportunities from Europe 2020 strategy and its corresponding Multiannual Financial Framework -and its programmes- without getting lost in a forest that is still densely populated by bureaucracy. The Horizon 2020 programme is one of the 44 approved so far. It belongs to the category of "Competitiveness for growth and employment" and is one of the most favored in the MFP (Multi-annual financial framework 2014-2020). It is intended primarily to private beneficiaries, with an amount for that period of € 79.401,83 million (at current prices). The UE will invest in key technologies and by means of a more easy access to finance will benefit SMEs.This is crucial for overcoming existing barriers at the national and EU level. Regulation (EU) No 1291/2013 establishing Horizon 2020 - the Framework Programme for Research and Innovation (2014-2020). What’s competitive intelligence?... it is information, not spying. Competitive intelligence (CI) has different meaning for every component within the organization. It doesn’t mean the same to sales people; to the managing director; to the executive board, etc. but its ultimate purpose is to help to decision-makers and action-takers make better-informed, timely and accurate decisions and enhance organization’s performance, due to that CI is a part of Knowledge management, because this process that retrieves information to turn it into intelligence can provide the organization with new ideas. As stated in the NATO, Intelligence is the final product derived from the analysis and processing information and data obtained from two good servants: surveillance and reconnaissance, fused with other information. Surveillance is the persistent monitoring of a target, so is a more prolonged and deliberate activity. Reconnaissance is the information gathering conducted to answer a specific issue, so are rapid and targeted to retrieve specific information. Intelligence as a final product, should be disseminated based upon two concepts “need to know” and “need to share” with a mind-set of information assurance (data and networks) in order to facilitate the big picture of specific or interesting issues that could affect the enterprise. Why the need to share?, because you find that information is only of value if you give it to people who have the ability to do something with it. The fact that I know something has zero value if I'm not the person who can actually make something better because of it1. Competitive intelligence is crucial for all organization’s operations, and doesn´t have to be related to secret but if it were, intelligence must be protected, so although you don’t make industrial espionage you’d better be prepared for doing counter espionage. Time and special procedures to obtain secure, holistic and relevant information, using resources effectively and efficiently. There must be a plan for developing CI and creating short term wins, instead of hoping for them. Financial and cash flow forecast for next 4 or 5 years; profitability; Key Accounting information; Taxes and budgeting; risk management and insurance. Employee Management. You’ll need to know how you should manage HR with effectiveness, how to recruit them, to know all the relevant employee entitlements, etc. With regard to marketing you need to meet value adding expectations from your potential customers against making profits for the organisation. You must have a Customer orientation that involves focusing your business on identifying and understanding your customers' needs and preferences in order to make that your "Unique Selling Proposition" USP, stands out from competitors, such as best service, best value, cheapest, most modern, only for élite people. etc. Cost leadership - aimed to provide goods and services at a lower cost than competitors. Differentiation - aimed at creating a highly differentiated product. Niche - aimed at effectively serving few -or smaller- market segments rather than dealing with the whole market. Set your Marketing objectives. After defining your unique selling proposition, you will be able to identify why customers purchase what you offer them. Then define what is to be accomplished through your marketing activities. Your objectives must be "SMART", is to say: specific, measurable, agreed upon, realistic and time bound. Retail markets: aimed to consumers for their own. Business to business markets: aimed to various businesses, governments and market intermediaries to facilitate the finished product which is generally then re-sold to an end user. Market research. You need to plan, collect and analyze specific information to segment markets, to decide on target areas, to identify the best way to position your business regarding to your competitors, to understand market trends, and also can assist in forecasting sales and anticipating events and market changes that can impact your business. So you should identify: a) your customers; b)your competitors: direct and indirect; c) the various Environmental factors that could affect your business performing the PEST analysis (Political, Economical Social & Cultural, and Technological); and d) your business' internal strengths and weaknesses and the external opportunities and threats performing a SWOT analysis in order to build on your strengths to reduce your weaknesses, seize opportunities and neutralize the potential threats. Marketing planning. Starts with deciding on a business description and involves segmenting your market, targeting the most profitable segments, and positioning your products and services effectively in the marketplace. It also involves choosing the right marketing mix (the four p's, product, place, price and promotion) for your business to maximise the effectiveness of your marketing efforts. Business Description allows you to get your idea, plan and vision, written black on white, when you start. It provides a thorough explanation of what your business is and the most appropriate direction to go. Businesses should also understand the performance of competing products and the target customer expectations with regard to competitors. Market Segmentation groups your customers into segments that will require a different marketing mix strategy. You can segment your market based on different variables such as life style, demographics, age, behaviour, geography, etc. Targeting. Once you have segmented your market you should choose target market segments in order to develop different marketing strategies for different customer groups, specially at present day, when almost every particular client needs a different marketing strategy. Positioning is the process that produces the product's (o services') image and places it in the customer's mind; is the main process to get the customers become aware of brands and their prestige. Positioning effectiveness determines whether a client thinks of the product/service, and it could go from a luxury item to an useless offering. Business should establish a clear perception of their business in customer's minds and then bridge the gap by influencing this perception through strategic promotional activities and by chosing the optimal marketing mix. This is a key process when starting up. Many businesses enter the market arena without clearly defined objectives and strategies. When starting up a business, you’ll get a higher chance to succeed if you develop carefully and thoroughly your business plan. You need a Sales plan. Then establish your goals to seize opportunities and neutralize threats to your business aligned with Vision and Mission. Assign responsibility for specific tasks to workers and managers. Design thoroughly your plan to organize information and data and empower everybody to follow the plan. Make a planning for and creating short terms achievements aligned with overall strategy goals to keep the sense of urgency. Systems and processes: arrangement of management and staff and their roles and functions; facilities and equipment, etc. Equipment & facilities and to have the right equipment in place at the outset. This includes not only production equipment but administration and communication equipment. After determining the equipment you require, you will also need to finance the costs. Risk management from natural disasters to bad debts or slowness in paying, going by family issues. You can use four strategies: Prevention, Avoidance, Transfer or Mitigate. You need a Management plan. Because no person knows how to do well everything. Probably you will need to delegate some roles in key business areas. You should be sure of having a suitable management structure, how to get proper commitment and how to reward people when goals were achieved. Job descriptions provide clearly communications about individual's roles and their responsibilities. It also can be used to develop performance measurement by setting Key Performance Indicators (KPI's), acreer opportunities, learning and training, etc. You need a Financial plan. Assets to be owned or rented; financial obligations (liabilities); Equity: the amount left over after you have deducted total liabilities from total assets (capital contributions and retained earnings). Financial Requirements: all the potential costs you will face in starting up a new business. Securing finance: by identifying available sources of finance, understanding government grants and assistance, assessing the available financing options, etc. Profit and loss statement: that communicates the profitability of your business in a particular financial period. Balance sheet: The balance sheet or Statement for Financial Position, provides you with the ‘net worth' of your business' assets and liabilities at a certain date. Cash flow statement in a given period, is to say, inflows that represent the cash the business receives and cash outflows are all the cash the business expends during that given period. Budget, as a planning tool to benchmark performance making a comparison between expected and actual income and expenditure. And finally you need an Action plan, to organize and prioritize certain actions, those you'll have to perform to properly achieve your business Mission objectives and Vision goals. Firstly, you ought to take the overall strategy you've chosen or your business and breaking it down into a cascade of smaller and achievable operating objectives, once you did it, and not before, you must identify and define specific actions in specific areas that you'll need to perform to reach those objectives. Timeframe and priorities within each action and aligned with overall strategy, . The people who are, or will be, responsible for undertaking each action. Second, you need to have in mind your value chain and how do you create value through performing primary and secondary activities using your core competencies. Third, you should never forget that the environment evolves, thus you need to have a continuous awareness of the situation and assess potential consequences of expected events and probabilities and impact of unexpected events, be direct or indirect. And fourth, after starting up, you must run your business the best you can, so you’ll be concerned with its continuity, your leadership, and a plan B, is to say, what you’ll do to manage your business through an economic downturn implying reduced workloads and redundant jobs but hiring opportunities; reduced cash flows and more difficult access to finance, but also to have the opportunity to get your business leaner and stronger; etc. Strategic process management is involved with developing and executing strategies in order to get effective formulation and implementation of strategic plans. This requires careful strategic planning and controlling of strategy-related decisions and actions to achieve the mission and vision goals. Also a firm commitment towards achieving desired objectives is necessary with the ability to communicate effectively, inspiring employees to meet challenging opportunities. Maintain tangible and intangible assets. Risk management. Situation awareness is an essential for maintaining the continuity of a business, not only for the present but also for the future. Basically four strategies can be implemented in regard with Risk management: a) Prevention, b) Avoidance, c) Transfer and d) Mitigation. An economic downturn is not a period of good news neither for owners nor employees and what is worst, you have neither control over its forces nor these forces are going away, but you can control the conditions inside the organization, and that's why leadership is important in downturns, because it will set the tone in the way you'll manage your business to get that it survives the downturn, and to be prepared to compete and grow when the market recovers. Also remember that the businesses which will be in the best position to restart, are those that have retained their key employees. Do you need to grow?. 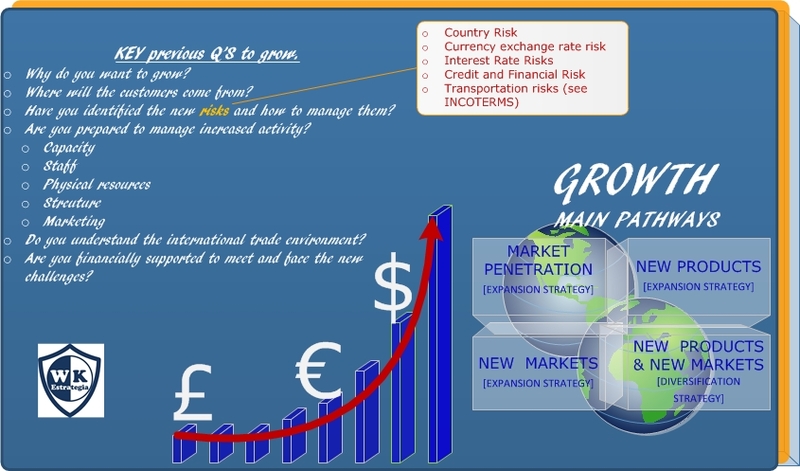 In the following depiction you can see the six key questions to be made before deciding to grow. First of all is why do your company have to grow?. You want to grow or you need to grow in order to gain economies of scale or scope; to overcome competition, to serve other markets, to see the world...? WK Estrategia can help you in this challenging project based on a network of experts in different fields. To gain properly commitment to achieve vision and mission goals from everybody involved in growth, it is important to communicate with effectiveness the organization's overall strategy to ensure everybody understands where the organization is and where is going. The growth project is a part of the overall strategy so growth objectives must be consistent with it. Goals and targets set must be SMART (Specific, measurable, Agreed upon, realistic and time bound). Growth strategies and tactics should have been thoroughly analyzed and have proper financial support. The expected –desired- return on investment (ROI) must be determined in order to lead to a situation in which consumer demand is being met and it is profitable for the company to meet that demand. The most likely is that the business owner will have to change his role, and must be able to delegate responsibility to his assistants, those that have more appropriate skills to run the new business section or units. 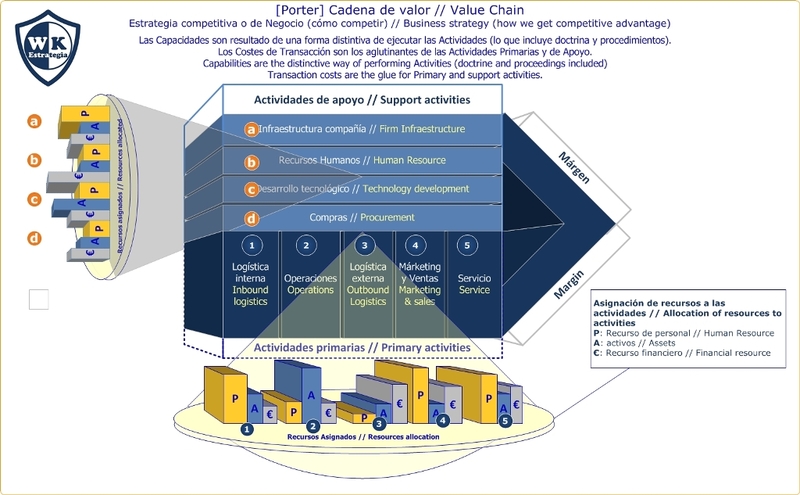 Also some adjustments in objectives of different key areas of the business and activities of the value chain, must be studied and if necessary accomplished. The following challenges must be taken into account. Plant Capacity and its limits and ways to relieve excess of demand. Ways to seize identified economies of scope and scale. The managing staff and key employees should have time enough to deal with strategic matters and a probable administrative overload, along with level of impact in case of excess of demand in order to avoid a disruptive effect on relationships of key customers. You have requested the document . We need your email in order to send you a temporary link to download the document. Thanks for your interest. Generate customers through public contracting, and take advantage of Europe 2020 Strategy.